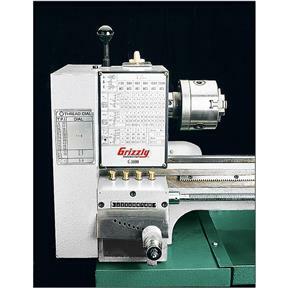 There's never been a better time to get into metalworking - or a better price on a professional-quality Grizzly metalworking lathe. The Model G4000 is precision crafted by one of our most-trusted factories for superior accuracy and long-lasting dependability. 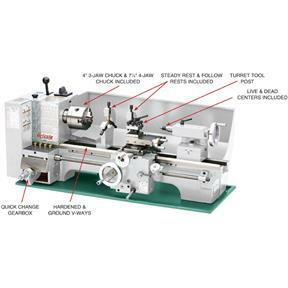 You won't find a better combination of price and performance on a full-featured 9" x 19" lathe anywhere! Swing over cross slide: 5"
Approximate shipping weight 294 lbs. 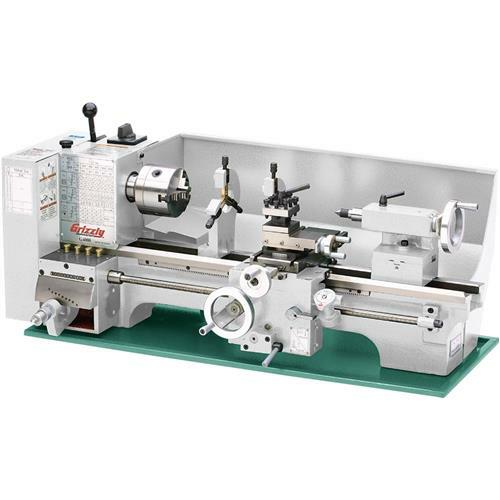 I have been looking at lathes for long time, almost went with a HF mini lathe but I am so glade I didn't. After a lot of research I chose the G4000. It came with a lot of accessories that I would need to buy. This lathe performs well and exceeds my needs. Grizzly service department is also top notch. Just got it set up, In the owners manual, under break in it says ti use a ISO 32 oil in the bearings, and a ISO 68 for the ways. I would think that Grizzly would carry for sale the ISO 32 oil. I did find it on Amazon in a Synthetic. I added a .626" spacer between the chip pan and the lathe, as I felt the carriage was to close to the chip pan. So far a great machine. Grizzly 4000 and Shop Fox m1049 are the same. They are supplied with a 7 1/4 inch four jaw chuck that has limited use. A great chuck if you can find something that it will hold, but lacks a full range of movement. The Lath is great, but if you need the use of a universal four jaw chuck this is not the lath you want. I was told at Grizzly that there is no optional four jaw chuck available. It has been a nice machine so far. I am a new user so I am still learning all it will do. I purchased this for my son. he's loving it and uses it every chance he gets. Although I haven't had the time to set up my new G4000, It looks well made and arrived safely and in good condition. 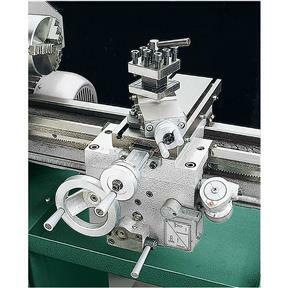 This machine will be replacing a mini lathe and I feel it will be ideal for my smaller work. I also own a Grizzly G4002 12" X 24" Gear Head which has been a real work horse. I've always liked working with Grizzly Tools although I was disappointed to learn that the PA showroom was closed as I was able to travel there from RI on occasion. . I really like the lathe but have not made anything yet as I am ordering tooling for it. Will review at a later date. I bought mine 4 years ago and feel so pleased I bought it every time I start it up, I do preventive maintenance as to not have any trouble, like buy new belts before I really need them, and check all bolts regularly. THERE is only 1-ONE thing that I found that sadden me - it will not cut threads that match the spindle chuck mount m39x4, I had to get a tap and do my other back-plates. I remember I cut threads for 3/8 bolt the same day I got it setup, that was about 3 days after received it, I took measurements and made a welded table to mount it on so I would have no worry about tolerances, no flexing here and cuts as true as the day I first ran it.